Entrepreneurship is in Hasan Mirjan's genes. His father was a successful businessman manufacturing insulation material in his native Iraq. Mirjan’s journey into entrepreneurship began at the age of 20 with a chicken farm. Unfortunately, Mirjan couldn't get his chicken business off the ground so he next leased and opened a stationary store. Things were fine until the first Gulf war intervened. Mirjan left Iraq to Jordan and, after a three-year-stay, immigrated to Canada. Here Mirjan worked minimum wage jobs to put himself through school. After graduating, he secured a job in San Francisco in 2000 then Los Angeles 2003. "The entire time I was working for someone else I wanted to start my own business. I used to see those government mandated employee regulations hanging on the wall in the break room and dream of the day they would hang on the wall of my own company." Unfortunately due to his visa restrictions, it would be awhile until Mirjan was able to pursue his dreams. The opportunity finally presented itself after nine years when he became a permanent resident (Green Card holder). " The minute I got that (the Green Card), I said, OK I quit!" Without any backup plans, Mirjan moved to the Bay Area. Once again, an opportunity to learn a tough lesson presented itself, his first venture - www.capchr.com - was unsuccessful. One day, while looking for new business ideas, Mirjan spotted an article on coworking spaces. Having had prior experience in the real estate space, Mirjan plowed his savings and with some family support launched into his second venture: REZERV.IT, a coworking space located in the affluent North Beach area of San Francisco. Initially, the space didn't do too well. 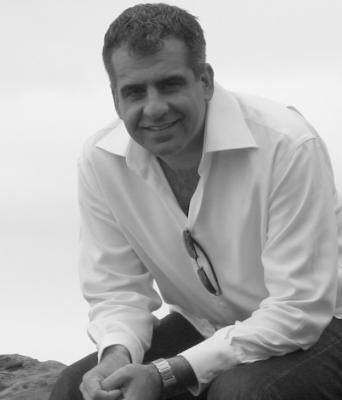 Mirjan experimented with pricing and services until he found a sweet spot. However, his business really thrived after Mirjan developed Spheremail. 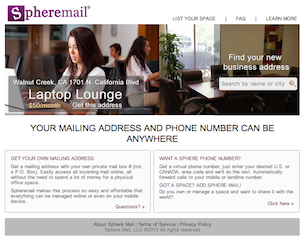 In its simplest form, Spheremail is a suite of services for entrepreneurs on the move, think virtual offices. Spheremail provides a physical address in a coworking space or an executive suite, a notification system when physical mail was delivered for the entrepreneur at the coworking space and a web based interface with request for forwarding, scanning, etc. Today Spheremail expends to cover services like virtual phones, labeled under SpherePhone, and integrates with a sister company, SphereTrac, a mobile app that helps record your car mileage and other business expenses - both services in high demand by small businesses and large enterprises alike. Mirjan had multiple options when he founded Spheremail in mid 2011. He could have easily taken the service directly to mainstream market by offering it to consumers directly, however it is a highly risky and very capital intensive proposition. As a seasoned bootstrapped entrepreneur, Mirjan knew that he needed to focus on having a clear value proposition and building a revenue stream from day one. Mirjan devised a clever business model where he white-labels Spheremail to coworking spaces. Spheremail maintains and develops the product, handles the subscription logic (but not the pricing), and once a month sends a check to coworking spaces for their respective subscribers (less Spheremail's fees). This is a perfect deal for coworking space owners and executive suites to increase their revenue. Indeed Spheremail has met with great success, since its release. Mirjan has forged a number of partnerships with major coworking spaces in the country. Although he declines to disclose the number of partnerships, there is actually a map in Mirjan's office with a pin for each location where Spheremail is available through a coworking space. The aleas of evolving a product on the web are such that missing features an glitches are bound to appear. Mirjan's entrepreneurship experience shows there in his approach to support and software development. He truly believes customer service is the backbone to success so when it comes to requests, complaints, and feedback, he does not count and always comes up with a solution that help Spheremail customers - even if it means running SQL queries and cutting and pasting the results into a spreadsheet himself. Accumulating customer knowledge first hand, Mirjan is then able to leverage cash and development talents for exactly what is needed to bring Spheremail product to the next level. Follow Hasan Mirjan on twitter @hmirjan and share the day-to-day life of a serial bootstrapped entrepreneur.